Matthew Stafford continues to feel the heat from detractors who believe he’s an overpaid slingshot artist who comes up tiny in big moments, Kevin Patra of NFL.com reports. Thursday’s Thanksgiving turnover-feast against the Chicago Bears won’t help the Detroit Lions’ quarterback. With the game tied at 16-16, Stafford threw a back-breaking pick-six on a flat route to tight end Michael Roberts that Bears safety Eddie Jackson read the entire way. Stafford then drove the Lions into position to try and tie the game, only to toss another interception after a miscommunication with Roberts that sealed the 23-16 loss. 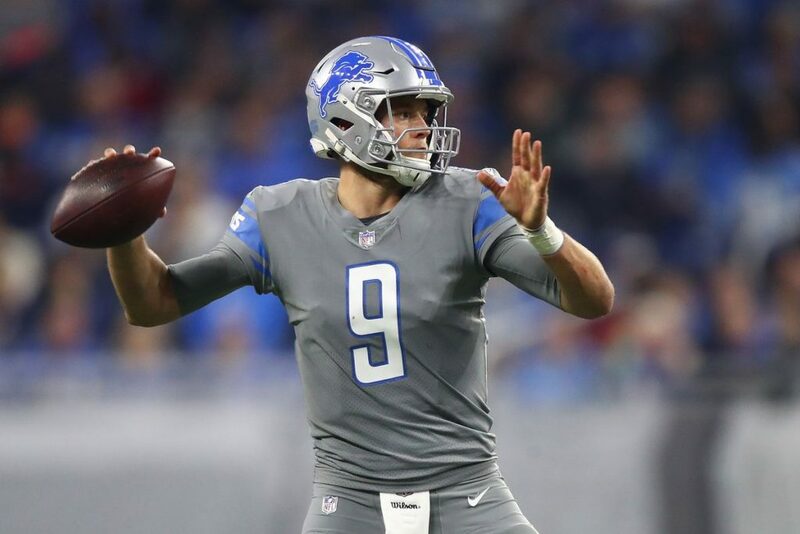 Whether the recent dink-and-dunk strategy is a product of offensive coordinator Jim Bob Cooter’s system, Stafford’s in-game decision-making, or a confluence of factors remains a question for which there has been no straight answer. Be the first to comment on "Detroit Lions RB LeGarrette Blount Sticks Up for QB Matthew Stafford After Loss to Bears"